The Israeli market has seen at least four acquisitions valued at over $1 billion in 2018, making for an unusual year. Which company comes next? The Israeli market has seen at least four acquisitions valued at over $1 billion in 2018, making for an unusual year. Based on the analysis of these deals, investment house Oppenheimer & Co. spotted six public Israeli tech companies that can be a target for future acquisitions. The analysis was published late in October by Sergey Vastchenok, managing director at Oppenheimer. In July, Nasdaq-listed KLA-Tencor Corporation announced the shareholders of Nasdaq-listed Orbotech Ltd., a manufacturer of testing machines for electronic parts, have approved its acquisition by the former. The deal, which values Orbotech at $3.4 billion, is expected to close by the end of the year. In August, PepsiCo Inc. announced the $3.2 billion in cash acquisition of Israeli at-home water carbonation products company SodaStream International Ltd. The acquisition is expected to close by January 2019. In September, Medtronic Plc announced it will acquire Israel-based surgical robotics company Mazor Robotics Ltd. in a deal valuing the former at $1.64 billion. In October, technology investment firm Thoma Bravo LLC announced the acquisition of Nasdaq-listed information security company Imperva Inc. Thoma Bravo will pay around $2.1 billion in cash. All four acquisitions were in the $1 billion to $5 billion range, meaning the buyers could use their free cash flow to finance the deal without needing to raise a major outside investment, and all presented a revenue growth rate of over 10%, paired with their high gross profit margin, which can add to the bottom line of buyers, Vastchenok explained in an interview with Calcalist. 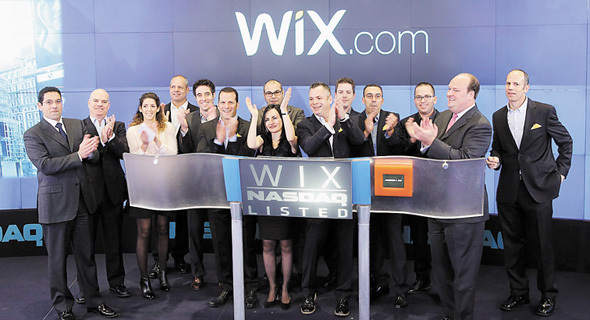 The six Israeli companies the analysis singled out as potential targets for acquisitions are Nasdaq-listed Website-building company Wix.com; Nasdaq-listed information security company CyberArk Software Ltd.; Nasdaq-listed software company Varonis Systems Ltd.; Nasdaq-listed Information security company ForeScout Technologies Inc.; Nasdaq-listed smart energy company SolarEdge Technologies Inc.; and Nasdaq-listed cybersecurity company Radware Ltd.
Mellanox was also mentioned favorably. On Wednesday, CNBC reported that American semiconductor manufacturer Xilink Inc. has hired Barclays as an advisor on a bid to acquire Nasdaq-listed Israeli chipmaker Mellanox Technologies Ltd. The report followed an October report by that news agency, which stated that Mellanox has hired a financial advisor in response to takeover interest. Mellanox was also mentioned favorably by Vastchenok.